Mad cow testing: What is the goal? 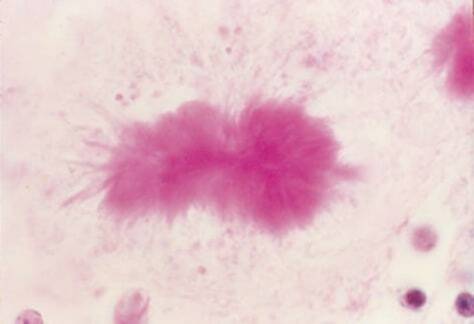 A microscopic image shows a sample of human brain with a clump of infectious prions (dark pink area). A debate continues as to whether testing cattle for mad cow disease is an effective way to prevent diseased animals from infecting people with the fatal human form of the disease.